Bought my M3 on July 26, 2014 from Park Place porsche in Dallas. Only problem was I had to work the weekend and couldn’t fly up there and get it. So, the salesman came up with a solution. They brought it to me, no extra charge. 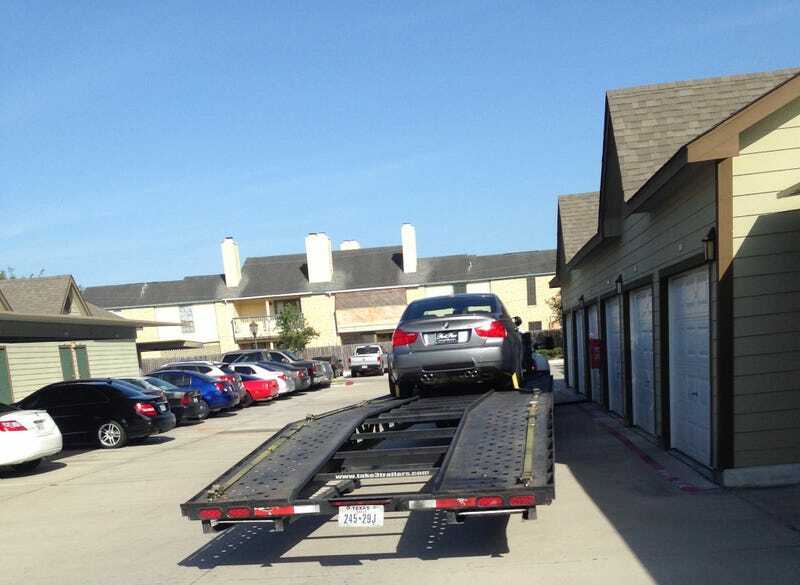 Came back to Corpus Christi, from San Antonio, on July 28 and a few hours later, my M3 showed up at my apartment. Wrote some thoughts on ownership a few months ago.